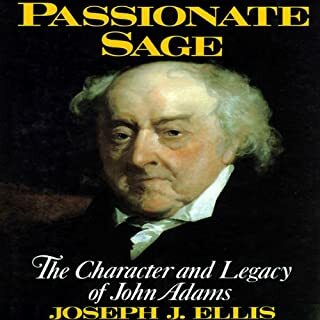 John Adams, one of the Founding Fathers of our nation and its second president, spent nearly the last third of his life in retirement, grappling with contradictory views of his place in history and fearing his reputation would not fare well in the generations after his death. And indeed, future generations did slight him, elevating Jefferson and Madison to lofty heights while Adams remained way back in the second tier. For a man who insisted that life on the public stage was not what he had in mind, Thomas Jefferson certainly spent a great deal of time in the spotlight, even in his retirement. In his twilight years, Jefferson was already taking on the luster of a national icon, which was polished off by his auspicious death on July 4, 1826. 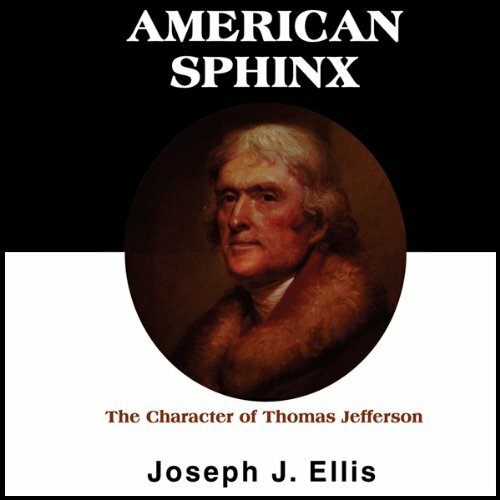 In American Sphinx, Ellis sifts the facts from the legend to find the heart of the man who, at the grass roots, is no longer liberal or conservative, agrarian or industrialist, pro- or anti-slavery, privileged or populist. A man who sang incessantly under his breath; who spent ten hours a day during his presidency at his writing desk; and who sometimes found his political sensibilities colliding with his domestic agenda; who exhibited great depth and great shallowness, combined massive learning with extraordinary naïveté, and should neither be beatified nor forgotten. ©1996 Joseph J. Ellis (P)1998 Blackstone Audio, Inc. I was very concerned about trying this book reading the complaints about the audio quality. I contacted audible and they assured me a new, complete file had been uploaded and I can attest to that. Thanks audible! This was a great book and the audio quality on it was tremendous! 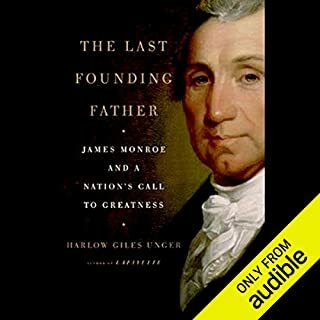 I was initially looking for a historical biography of Jefferson, but other than the 100+ hr multi-volume set and a few very short (less than 10 hr) audiobooks, this seemed to be the best that Audible had. It is not a historical biography, but an analysis of Jefferson's ideology along the historical timeline of his life. 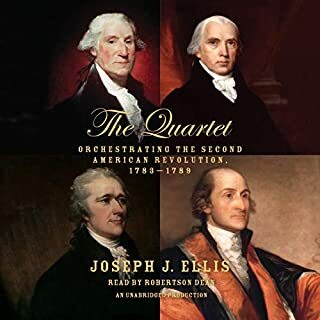 In other words, you DO get some historical information and context, but not a lot more than you may have already known if you've read John Adams by David McCullough and Washington; A Life by Ron Chernow. That said, I felt the insights provided were fascinating, especially since there is such a contrast between the writings of Jefferson, Adams and Washington. 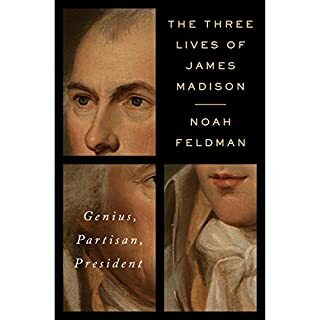 Adams was so direct, Washington said as much with what he did NOT say as with what he DID, while Jefferson's sincerity at times seems to clash with a tendency to downplay disagreements he may have with the intended reader. Obviously this is seen when slavery is mentioned in his correspondence with fellow Virginians and with others opposed to the institution, but this was also evident in his political disagreements with Adams. Even while Adams, after the resurrection of their correspondence later in life, tried to entice him into debate on subjects of prior disagreement, Jefferson often avoided those subjects even though there is no evidence to suggest he had changed his mind on those issues; this, to me, leaves open speculation as to how such a debate would have played out. That is for our imagination only, unfortunately. Other listeners have noted audio problems which I also experienced. I'm not familiar with recording equipment but to me it sounded like an overly sensitive microphone which mutes harsh syllables. For example words like "port," "continent," or "book" sound instead like "ort," "ontinent," or "ook." Annoying and distracting, yes, but they did not prevent me from understanding or enjoying the book. The only thing I can compare it to is if an individual with impaired speech were to narrate an audiobook. Despite this issue, I feel that the price paid for this audiobook was money well spent. A revealing and honest look at one of our "Founding Fathers". Ellis reveals Jefferson as a complex and some what tragic figure. 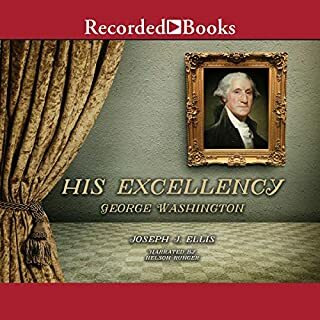 As with Ellis's "His Excellency" about George Washington, we learn so much more about the human side of these gifted but human men.The ruthless politics of today seems tame compared to the politics of this(Washington,Jefferson, Adams, Burr, Hamilton) historic time. Literally hundreds of "skips" throughout the entire recording, usually occurring every 1 or two minutes. I should have paid attention to prior reviews. Based on the fact that this recording is still available after those reviews, there is obviously no quality control from either audible.com or Blackstone. Save your credit until this is replaced with an updated version. The book is great. The speaker, Susan O'Malley, speaks well, but Blackstone, the producer of this book, did a horrible job in editing this. There are little hiccups throughout the entire production. I've already complained to Audible about this, and when Audible asked, specifically what the problem was I told them to read through all the reviews to understand. Maybe Audible should demand a new file from Blackstone or something, but the quality is poor and the reason it didn't get a higher rating was because of those hiccups. That aside, yes, the book is a very interesting read. Still trying to figure out how hypocritical Mr. Jefferson is on the slavery issue. If I could go back in time, he'd be one of the people I'd most like to meet, even more so now after listening to this book. Now, please, for the benefit of future listeners, fix the !@$#!@! @ hiccups! The content and reading are good, but the editing is very distracting. Every few minutes, you lose a few words as sections are spliced together. Don't buy this audiobook. The text of the book is fascinating as I have come to expect from Joeseph J. Ellis and Susan O'Malley does a wonderful job narrating. However, either the audiobook editing (or perhaps the audible compression) is horrendous. Every couple minutes a second or so is missing from the soundtrack making you guess the words that were supposed to be there. It takes a lot of patience to listen to, even though I'd really like to listen to the book. A very eye opening historical read. 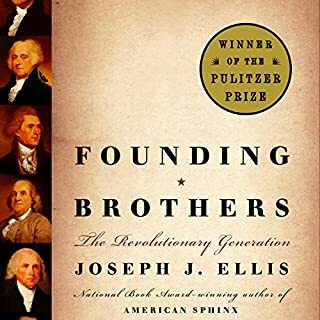 This book is a really informative, well written rendition of Jefferson's life - one that does not steer away from addressing the multitudes of personal/professional paradoxes that where characteristic to his person. This book served the purpose I was hoping: to give an overview of Jefferson's life which provided a great background to understanding the formation of his philosophy. This is why the book gets 5 stars, despite the performance being alright (nothing great or bad). The book does not demean his character or choices as much as others do, which I personally liked, instead choosing to contextualise his dislike of federalism and unwillingness to address slavery. It's obvious that the author has a small (self admitted) soft-spot for Jefferson, however that does not mean that he tries to justify Jefferson's behaviour. It just means it's not a dogmatic laundry list of only faults.